Increased Membership Makes Quarters for Organization Too Small. Owing to the increase in number of members, the Oregon State Equal Suffrage Association, and the State Central Campaign Committee, which had headquarters at 406 Selling building, have removed to 516 Selling building. 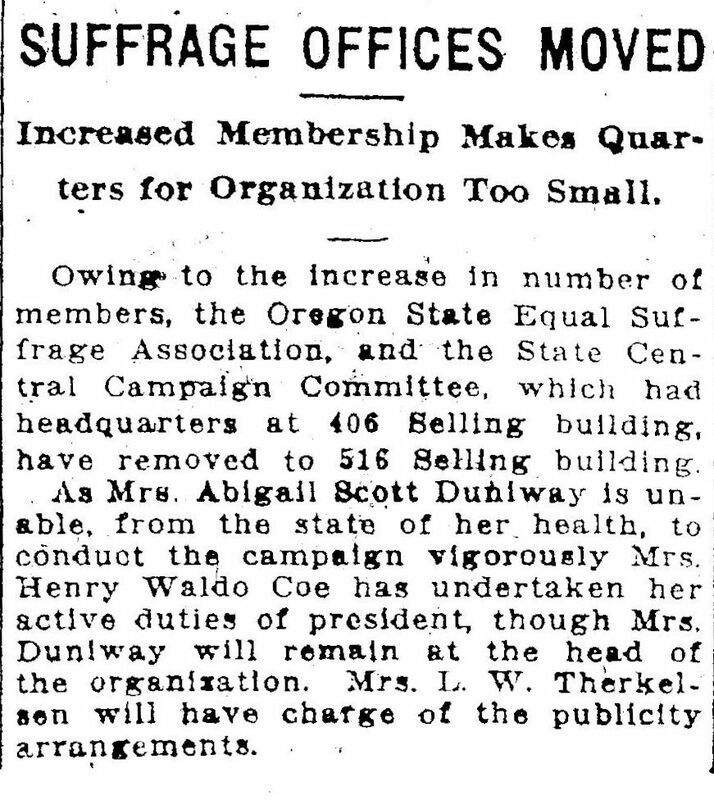 As Mrs. Abigail Scott Duniway is unable, from the state of her health, to conduct the campaign vigorously Mrs. Henry Waldo Coe has undertaken her active duties of president, though Mrs. Duniway will remain at the head of the organization. Mrs. L. W. Therkelsen will have charge of the publicity arrangements.